The “Classic of Poetry” contains the earliest known examples of Chinese literature. While its 300-some poems, odes, and songs were compiled by the sage Confucius, the lyrics themselves come from different regions and social strata that made up the early Zhou Dynasty (1046 B.C.–771 B.C.). Depicted are the lives of men and women, lovers and workers, peasants and rulers. Confucius (551 B.C.–479 B.C. ), who greatly admired the beliefs and customs of the Zhou people and kingdom, collected the works in order to record the ways of the ancients and to guide the scholars and leaders of his own generation toward a path of rectitude. Though by now less well-known as compared to the later work of the Tang and Song Dynasty poets, the “Classic” holds key value if we are to understand the world in which the great classical philosophers and teachers of ancient China lived. The first poem in the “Classic of Poetry,” the “Cry of the Ospreys,” is a romantic work understood to describe the marriage of the founding Zhou Dynasty monarch, King Wen, to the princess Tai Si. According to some scholars, this proper, auspicious union laid the foundation for 800 years of Zhou rule, reflecting a lofty faith in the will of heaven that secured for the dynasty the longest reign in Chinese history. All poems cited in this article are translated from “Book of Poetry,” by 19th-century Scottish sinologist James Legge, and posted on the Chinese Text Project website. On the islet in the river. For our prince a good mate she. To the left, to the right, borne about by the current. Waking and sleeping, he sought her. And waking and sleeping he thought about her. On his side, on his back, he turned, and back again. On the left, on the right, we gather it. With lutes, small and large, let us give her friendly welcome. On the left, on the right, we cook and present it. With bells and drums let us show our delight in her. Even with the sensual and romantic element of the poem, it becomes clear that there are other considerations at work. King Wen was the first king of the Zhou Dynasty, which overthrew the earlier Shang Dynasty under Wen’s son King Wu in the 11th century B.C. Even with the sensual and romantic element of the poem, it becomes clear that there are other considerations at work. The duckweed is a sacred plant that traditionally symbolized rectitude and was used in ancient Chinese religious rites. The “modest, retiring, virtuous, young lady” refers to a woman of great virtue and refinement in addition to physical beauty. The various instruments featured in the verses reflect the majestic nature of the union, as the drum and bell were, in those times, only considered fit for ceremonial use by nobles. As for the ospreys, they were said to take only one mate, and the Chinese looked up to them as a symbol of marital fidelity. As the family is traditionally considered the cornerstone of Chinese society, proper marital relations were taken very seriously. Legend holds that in mythical times, the emperor Fu Xi created the rites of marriage, offering humanity the stability of civilized life. According to Confucius, upright governance rested upon the maintenance of upright conduct between men and women. According to Confucius, upright governance rested upon the maintenance of upright conduct between men and women. This ties into the sage’s teachings on the cardinal virtue of propriety, which includes the observance of established customs and rites. When asked to appraise the myriad works included in his “Classic of Poetry,” Confucius was recorded to have summed up its literary essence in one line: “not lustful in joy, neither self-destructive in sorrow.” Moderation was key, and propriety served as a necessary buffer between baser human emotional desires and the enlightened reason that could bring stability and harmony. In the Eastern Zhou period (770 B.C.–221 B.C. ), the king no longer commanded respect from the feudal lords. Confucius, who lived during this time, sought to restore the ancient principles and faith upon which the earlier Western Zhou kingdom based its rule. 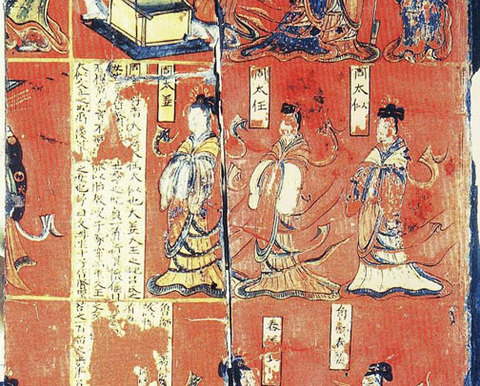 The Zhou people believed that the ruler of the nation received divine right. 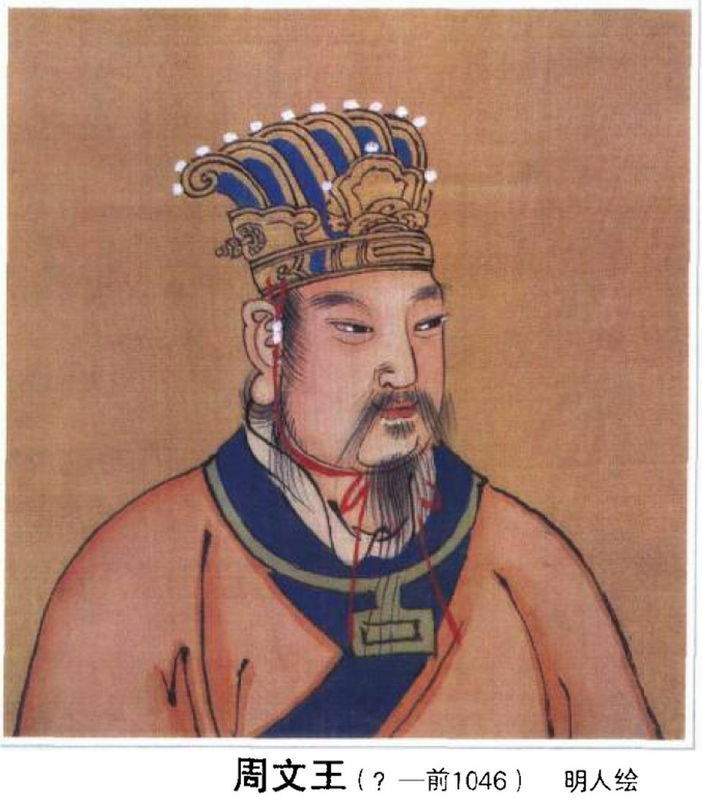 As the “Son of Heaven,” a title that would be used for later Chinese rulers over the generations, the Zhou king was obligated to pay reverence to heaven by following the proper rites and maintaining high standards of moral conduct in his personal life as well as in political affairs. He could not be a tyrant, as the final kings of the doomed Shang and Xia dynasties had been, neglecting their official duties by descending into lust and drink and mistreating the populace. The subordination of individualistic, personal whims to a greater purpose—that is, accepting and following the heavenly way—is what gave early Zhou rulers their raison d’etre. As evidenced in later poems that appear in the “Classic of Poetry,” the marriage between King Wen and Tai Si was considered ordained by Shang Di. The verses go on to describe how King Wen constructed a floating bridge of boats to cross the Wei River so as to hold the marriage ceremony, after the union was determined through religious rituals to be a proper match. The ceremonies determined the auspiciousness [of the union]. If we see, in “Cry of the Ospreys,” the lines “And waking and sleeping he thought about her,” and “On his side, on his back, he turned, and back again,” from the perspective of this divinely ordained union, a new dimension of interpretation arises. The prince’s insomnia is not merely the expression of infatuation or obsession with Tai Si, but reflects his concern about how to conduct himself in accordance with divine will. It becomes clear that the seemingly plain romance depicted in “Cry of the Ospreys” was actually a complex and significant episode in the history of the Zhou, involving faith, righteousness, and the governance of all China. 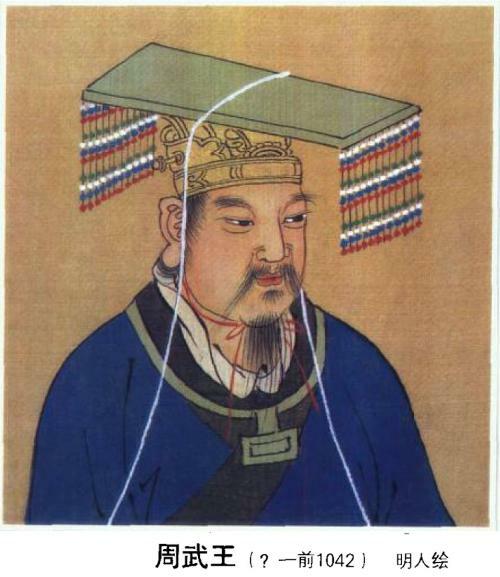 In the eyes of the Zhou people, it was the Emperor of Heaven who bestowed Tai Si, the august bride and mother, upon King Wen, allowing the establishment of the Zhou dynastic line. King Wu, born to the auspicious couple, goes on to prevail against the corrupt Shang monarch to consolidate the Zhou Dynasty. Zhou China was known to have contrasted with later, imperial dynasties for its decentralized, honor-based system of governance. People generally recognized their places in society and took care to abide by the requirements of their respective stations. Even after the Western Zhou became the Eastern Zhou, the competing lords still paid lip service to the king, with some rulers such as Duke Huan of Qi State taking up similar roles as the custodians of tradition and propriety. Through such texts as the “Classic of Poetry,” Confucius himself consolidated the core ideals of the Zhou in such a manner that they have been passed down as an enduring part of the Chinese worldview of how to live and govern. 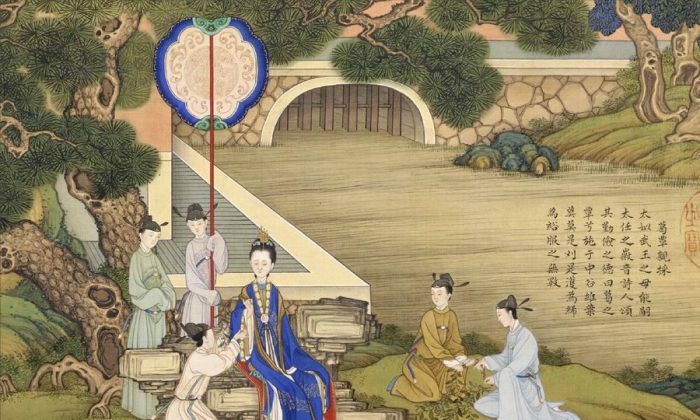 In honor of Mother's' Day, we share three stories of outstanding mothers from ancient China. In today's society, it is even more crucial that the time spent with your kids be made to count.